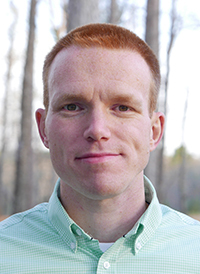 Joe Miller is a Senior Manager for Duke University Facilities Management. He leads the support services that aid the Facility Operations' skilled trade shops in performing world class maintenance and repair of University buildings. He believes that data is a key part in effective decision making, performance improvement, and telling the story of maintaining Duke University. Joe has worked during his 4 years at Duke to improve the use of its computerized maintenance management system: to help technicians track their work, monitor maintenance costs for each building, and to document safe and effective tasks for planned maintenance work. Joe takes the phrase, "This is the way it has always been done" as a personal challenge and uses the opportunity to better understand existing processes and works with the Duke team to gather data, analyze, and improve, to ensure that Facilities Management is providing cost effective and reliable maintenance now and into the future. Prior to joining Duke, Joe served as the maintenance engineer at Eisenhower Army Medical Center in Augusta, Georgia where he supported the daily maintenance operations, planned and carried out maintenance, repair and renewal projects. Joe holds a BS and MS in Mechanical Engineering from the Georgia Institute of Technology and is a registered Professional Engineer in North Carolina. Joe is a resident of Durham. On the weekend, he can be found outdoors with his wife and two dogs or in the garage working on his always evolving list of arts and crafts projects.